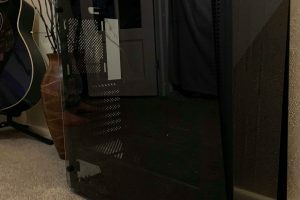 Bottom Line Overall, the Arctic z1-3D is a great choice for someone who wants to be able to have the freedom to place their monitor where they need it. The price is very comparable for the quality materials used. If you are looking for a single monitor arm with a gas-lift assist, pick up the Arctic z1-3D monitor arm. Arctic is company that is mainly known for their great products in the CPU cooling industry. 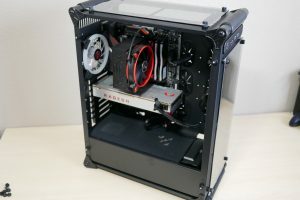 They have some great thermal paste, redesigned computer fans and industry standard CPU and GPU coolers. A line that they are now expanding further into would be the monitor arm/stand arena. 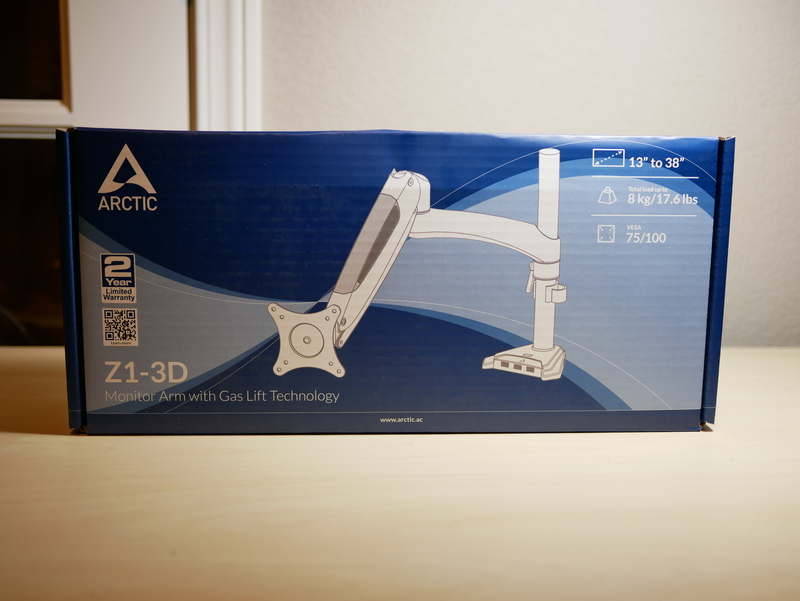 Today we will take a closer look at the Arctic Z1-3D Monitor Arm ($79.99 USD). 3D Monitor Placement: The Z1-3D monitor arm provides you a completely new sense of work at your screen. 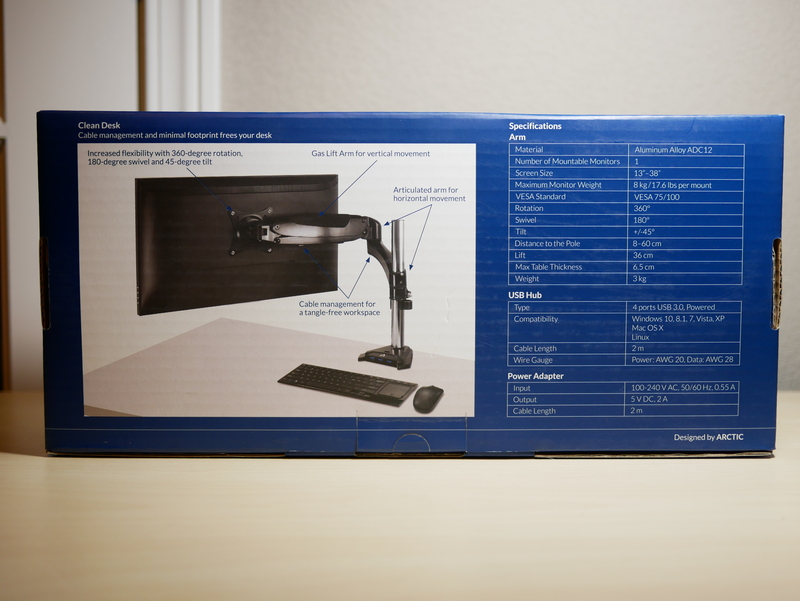 On top of the standard rotation, swivel and tilt, Z1-3D allows you to move your monitor arm in any direction. Gas Lift Arm: Thanks to the gas-lift technology, your monitor can be easily and smoothly rotated, swiveled or tilted in any direction. Ergonomic Seating Position: Pay attention to your health, also in the office. So the Z1-3D improves your ergonomic seating position through ideal alignment according to your individual eye level. Adjustment without Removing the Monitor: With the Z1-3D mounting head, tighten or loosen the swivel per your need in just a few seconds. No need to take the monitor down. Tidy Desk: Because of the cable management the interfering clutter is a thing of the past. The compact foot of the Z1-3D lets you win a lot of space on your desk. Powered USB 3.0 Hub: With the USB 3.0 ports in the foot of the z1-3D you can easily connect up to four USB devices at the same time. You can easily use the ports for your mouse, USB stick or keyboard and even for charging your smartphone because of the power hub. Taking a look at the outside of the box, you have a picture of the monitor arm and the Arctic Logo. 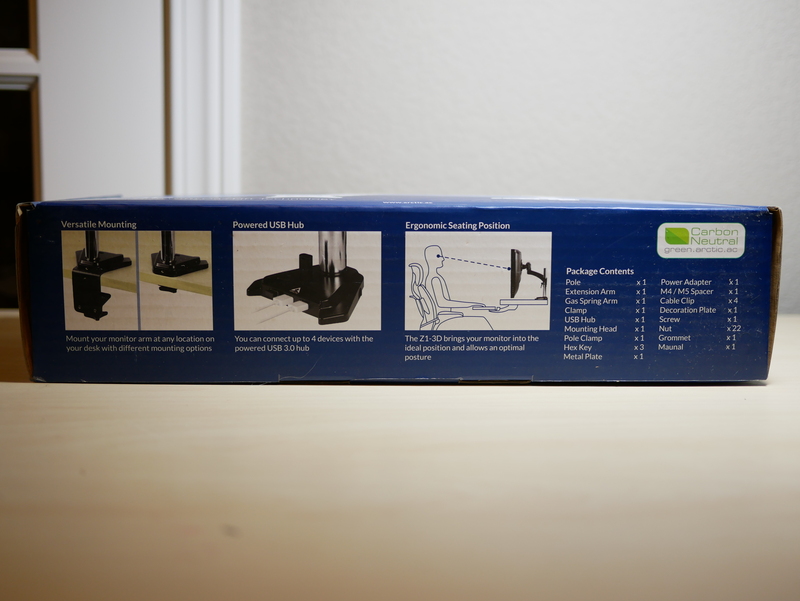 On the back of the box you have an example picture of the monitor arm with a monitor attached and the specifications. 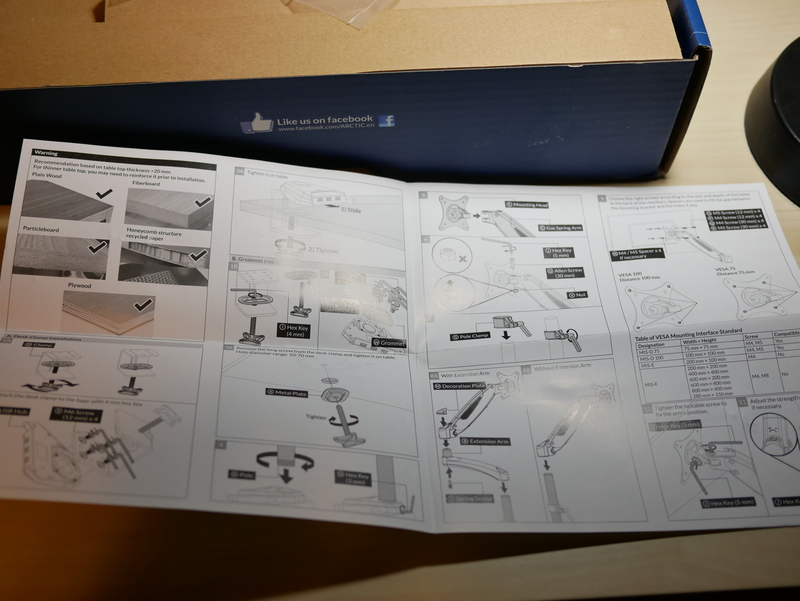 On the bottom of the box you have pictures displaying the features of the monitor arm and a package contents list. 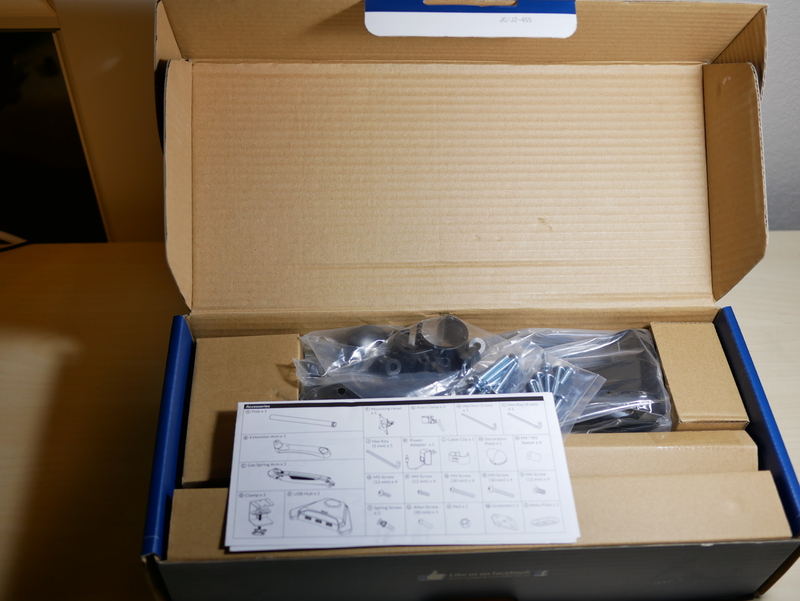 Opening up the box, you can see there are lots of bags with parts individually wrapped but section. There is lots of cardboard being used to separate parts for protection. The included instructions are black and white but very thorough. Overall, the materials being used are strong and very durable. The cable on the USB hub is thick. The USB ports are not flimsy. The Aluminum pole and desk mount are sturdy. The mounting hardware is very durable and strong. The tables that I have in my office are actually on the not recommended list. The monitor I used is about 0.2 lbs higher than their Maximum weight limit. Overall, the installation was a breeze with the very detailed instructions. I had no issues putting the mount together. 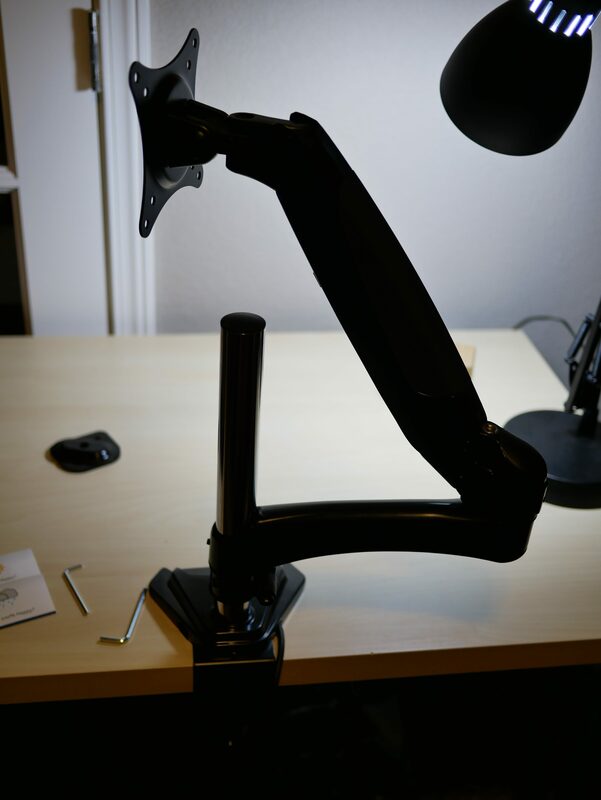 You have an option of installing the mount by drilling into the desk or using the clamp. 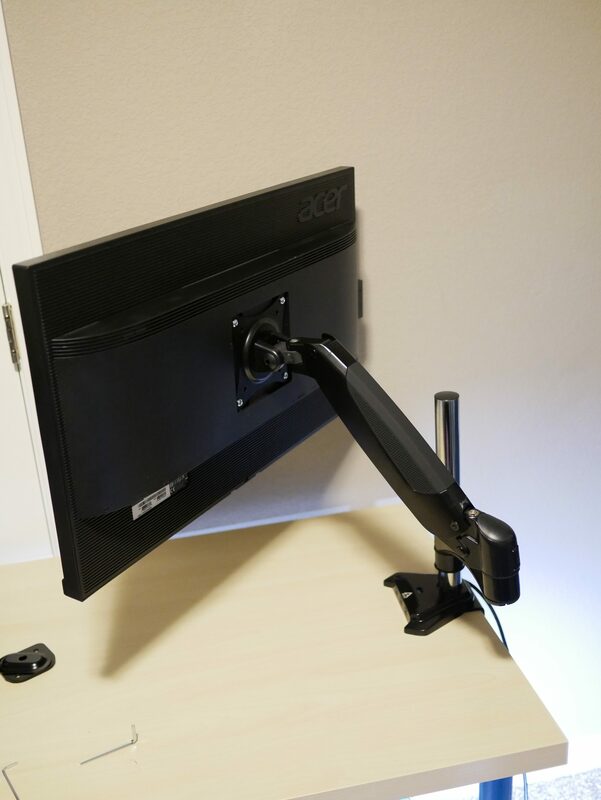 I opted to use the clamp method, I specifically placed my mount closer to the corner of the desk where the legs mount, as I believe this area is the strongest portion of the desk. Although not necessary you also have the option of using the lift arm by itself or using the extension for more range. I opted for using the extension. 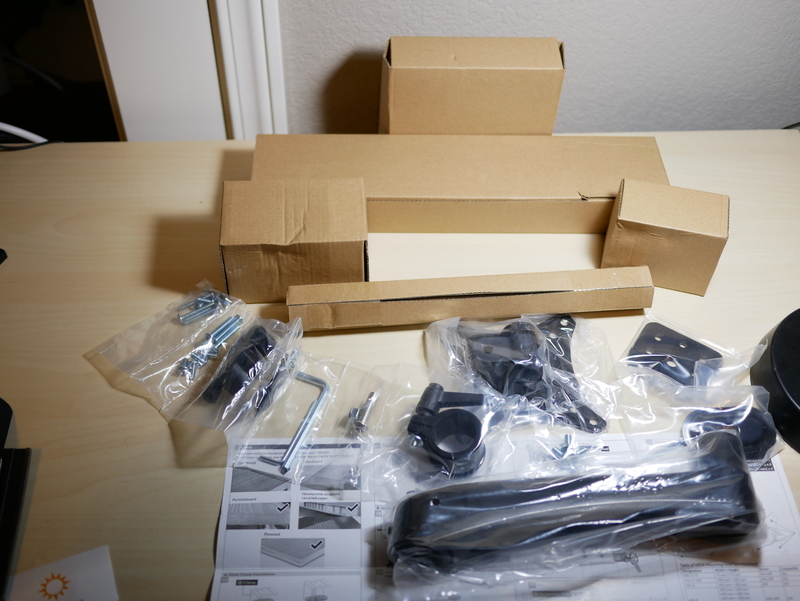 Tools are provided to help you with assembly of the monitor arm. Once mounted, I tested my monitor in both horizontal and vertical orientation. The gas-lift arm lifted and tilted the monitor with ease. There are stops on the VESA mount to lock in your tilt and also a stop on the pole to prevent rotation. 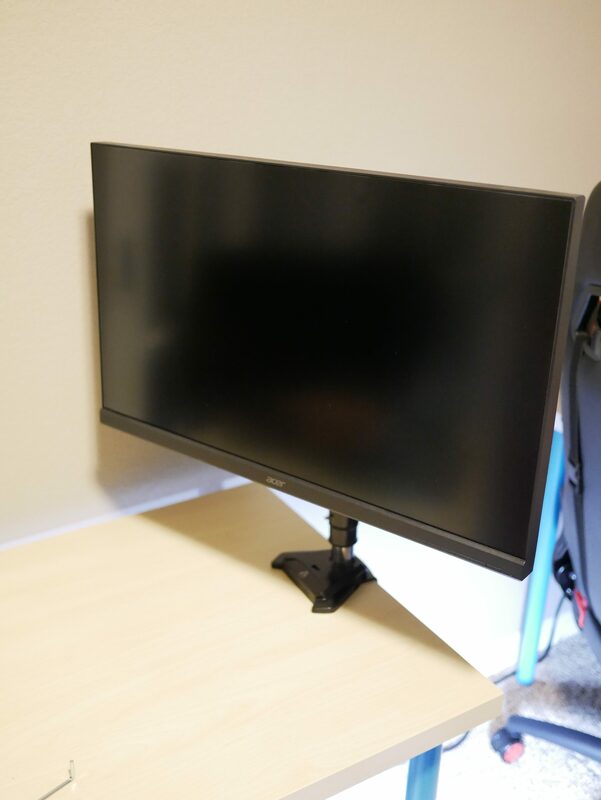 I was able to move the large 27” monitor all around without any issues and also able to position the monitor to my liking and having it secured in place with no difficulty.